Whoop! Whoop!!! September is finally here! Do you know what that means?? Lots of yummy fall dinners will be happening over at The Slaughter House!! I get extremely un-movitvated to cook in the summer. We have a lot of "eat whatever we can find" nights. Do you guys ever have those?? haha! Anyway, now that school has started, a new routine is well under way, AND fall has almost arrived...it's time to get back in the kitchen! Andrea had a GREAT recipe link-up last week. You can check it out HERE. 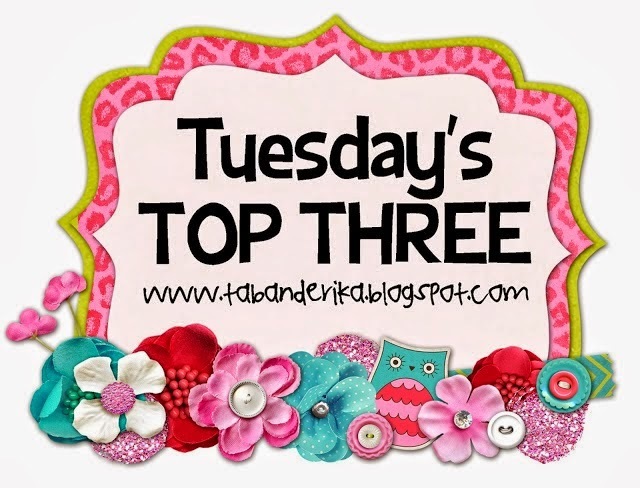 Thought it'd be fun to share The Slaughters Top Three Fall Favorites!! This is BY FAR my very favorite soup EVER!! I prefer spicy food any day and this soup definitely packs a little punch. Which is SO ironic, because my mom puts a little salt on something and thinks there is plenty of flavor! haha! :) Love you, Mom! 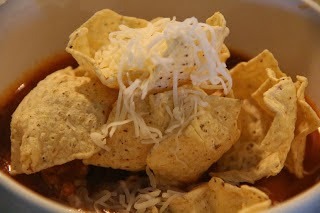 But...I love the twist on a normal taco soup with the enchilada sauce. Yum! Trust me! You should try this!! That is definitely NOT the best picture!! hahaha!! The Slaughters are big chicken and rice fans. I've made this meal on several occasions and my entire family gobbles it up. I found this recipe on Pinterest. Still wondering...WHAT DID WE DO BEFORE PINTEREST?? Anyway, we've eaten it with tortilla chips, tortillas, or just by itself with some veggies. DELISH!! The link on Pinterest went to nowhere, but the directions were right underneath the picture. Here you go... Chicken tenderloins-cut into small squares, 2 cups instant rice, 1 taco seasoning, 1 can rotel, grated cheese. Cook chicken in skillet. Add 1 1/2 cups water, taco seasoning and rotel. Heat to boiling. Add 2 cups instant rice. Stir, remove from heat and cover. Once water is absorbed, stir and top with cheese. Let cheese melt and voila!! Sorry, no picture!!! I have this on the menu for this week, but I wanted to go ahead and share it today! I told you the Slaughters are BIG chicken and rice fans, right?? 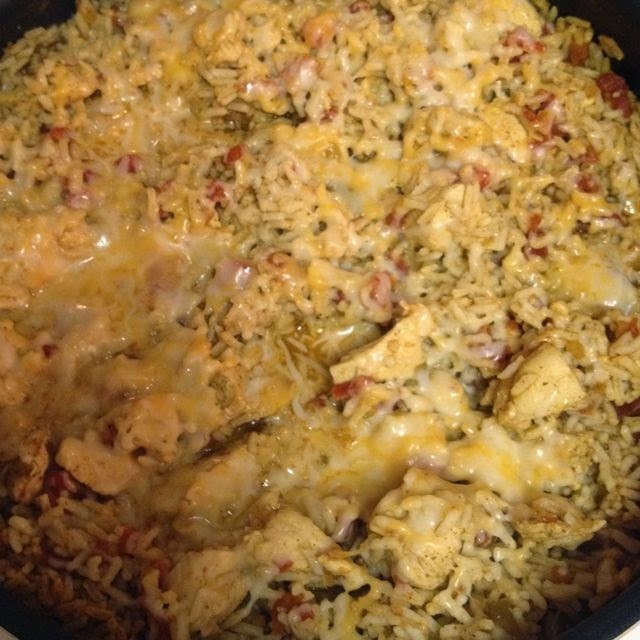 This chicken and rice recipe is SUPER easy!!! I cut up four chicken breasts (uncooked), throw in a can of cream of chicken soup, add 1 1/2 cups rice (uncooked), add 1 package Lipton's dry onion soup mix, dump in 1 1/2 cups of water, and I add a little and pepper all in a 9X13. I cover it with foil and bake at 350 degrees for about 45 minutes. Then I take the foil off and bake another 10-15 minutes. You can always add a little water if it looks dry or bake a little longer if it looks too runny. I'm telling you...super easy and my kiddos LOVE it! What do you guys cook in the fall?? What are your faves?? If you have something fabulous, please share it with us!! Woohoo for fall food!!! I am so excited about it too!! Thanks for sharing my soup recipe :). I love that enchilada soup too! YUMMY! And I could eat chicken and rice 3 days per week. Too bad the hubby doesn't eat rice. BOO! Ok that easy chicken and rice looks so yummy and is going on our menu next week! I definitely have to try the soup,,,,yesterday I made potato soup in the crock pot..of course recipe from mix and match mama...it was to die for!!! Happy Tuesday!!! Love fall and all the yummy food. How much chicken do you put in the Southwest Chicken Skillet? I usually make the chicken and rice meal you posted with ground turkey and it's delicious! I have never though to make it with chicken but I might make that tonight! I can't wait to try that enchilada soup!